Weird science, part 2: alcohol doesn't kill brain cells? Really? You are here: Home / Booze Nooze / Weird science, part 2: what do you mean, alcohol doesn’t kill brain cells? 3. Round ice, square ice, block ice – oh my! Have you been to a bar recently and been presented with a lovely craft cocktail, complete with its own custom, crystal-clear ice cubes? Or perhaps, just a single, large cube? What gives? Why one giant cube and how is it so clear? Prepare to wow your friends at your next dinner party with a bit of simple prep. We all know the regular old ice cube trays – fill ’em up, flex them a bit and voila you had a cold thing to add to your drink. But with a little bit of science and geometry, your drink can be cold, less diluted and nice to look at it! One of the latest bar trends is the round ice…ball? Seems a bit odd to say cube, but there you go. So one large ice sphere gives you a larger surface area to cool your drink, but melts less quickly which means less dilution for your liquor or cocktail. I’d suggest getting silicone molds – I have a hard plastic mold I received in the swag bag at WhiskyFest courtesy of Maker’s Mark. Needless to say, it was a one-use adventure after one of the sections broke and nearly cut my fingers. Bartenders and mixologists are also chipping their own cubes. They make one huge block of super-clear ice and then chip off what they need as the night goes on. 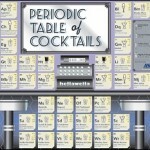 While it looks cool, not something that’s really all that feasible for your home bar. I’d stick with custom molds and making sure your ice is as clear as you can make it. So how do you do that? The water you put into the mold was clear, so why doesn’t it stay that way? It comes down to the gasses that are trapped in the water as it freezes and any impurities your water may have that aren’t visible at room temp. The more gas, the cloudier the cube. First, start with distilled water (sensing a trend here?). Then, you boil the water to remove the excess air. I’ve read boiling it twice works, but I’m not the most patient sometimes, so I only boil mine once. Seems to work just fine. You can also change the temp of your freezer, though I have less tolerance for that, since I have a whole lot more in there than ice and I’d just as soon leave the temp alone. Every element in a great drink requires attention, not the least of which is your ice, but it’s probably the easiest to make. 4. Alcohol doesn’t kill brain cells! HOORAY! It’s likely you’ve woken up after a night on the town and felt a little…less intelligent. And I’m not talking about the fact that maybe your shirt is on backwards or you’re not in your own bed. Or even your own sofa. I think I’ve used the phrase, “let’s have a drink, I have a few brain cells to spare”. Most of us assume that drinking straight up kills brain cells. Technically, it doesn’t kill them, it just impedes their ability to talk to each other. (if only we could apply this to exes, imagine how many fewer 3am texts there would be!) Your body can compensate and repair the damage as long you don’t make it habit, much like your ex. So please, cut your gray matter a break and imbibe responsibly! Check out all the technical deets from Gizmodo here. And there you have it – four funky science facts about what you may be drinking. Who said alcohol isn’t educational? Cheers!